At the southern end of the Grand Strand is Pawleys Island. While the Pawleys Island community includes much of the surrounding mainland areas, the actual town of Pawleys Island itself is located only on the actual island, accessed by two causeways. Less than 4 miles long, Pawleys Island is an Atlantic barrier island. Much of the Pawleys Island real estate on the actual island is historic, including several antebellum homes still owned by the 4th and 5th generations of families who made the island one of the first known summer resort areas of the east coast. Pawleys Island was first settled in the early 1700s by the owners of rice plantations along nearby rivers. The plantation owners noticed that moving to the island for the summer months reduced incidence of a severe seasonal illness (later recognized as Malaria). Each May, the planters would pack up their families, animals and furniture to relocate to their summer homes on the island, where they remained until November each year. Today, the Pawleys Island community is a local treasure that has maintained its simple ambiance and quaint elegance, fondly known as “arrogantly shabby”. Pawleys Island real estate is a top choice for buyers seeking a lifestyle of casual simplicity with lots of outdoor adventures to enjoy. The main activities in this family-friendly community are fishing, swimming, canoeing, biking, crabbing and kayaking. The beach is tranquil and unspoiled by the crowds that flock to other beaches along the coast. The saltmarsh that separates the island from the mainland is popular with fishing enthusiasts and adventurous kayakers. There is a ban on commercial and industrial development on the actual island, meant to preserve its history and heritage (excepting a few 1970s-era buildings already existing when the ban took effect). While many of the homes on the actual island are historic properties that have been owned for generations by individual families, the mainland bordering the island has much to offer those attracted to the beauty and uniqueness of Pawleys Island. Communities like Pawleys Plantation, Heritage Plantation, Hagley Estates and Allston Plantation capture the charm and character of the island while providing modern amenities. Located in Georgetown County and part of the Georgetown School District, families with children will find both public school and private school options to choose from. Waccamaw High School provides a technology-rich learning environment with a strong focus on community. In athletics, the school was the WPDE Zone Cup Winner for the 2013-2014 school year – the 7th time in 10 years. The Waccamaw athletics program has a winning legacy including a plethora of regional and state championship titles in tennis, golf, soccer and cross country. Recently added to the roster of available sports is lacrosse for both boys and girls. Unique clubs and organizations at the school include a sailing club and a fishing club for the next generation of outdoor adventurers. Buyers interested in Pawleys Island real estate will find a variety of options to call home in this close-knit community that captures the relaxed ambiance the island is known for. 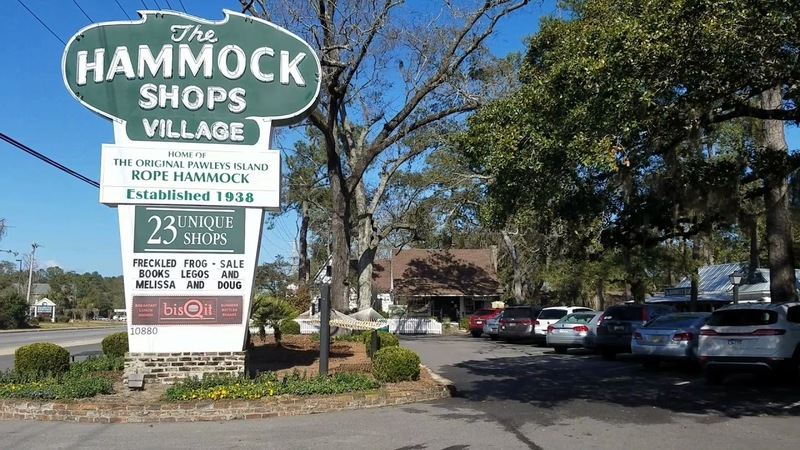 Pawleys Island Hammock Shops– Quaint outdoor shopping and dining village located right in the heart of Pawleys Island business district. Huntington Beach State Park– 16148 Ocean Hwy, Murrells Inlet, SC 29576 – 843-237-4440 – wildlife, Nature walks, camping, beaches, picnic areas- Also features Atalaya Castle for tours. Find Interval Ownership Properties in Pawleys Island, South Carolina.